In this original and timely work, David Arnold draws upon the history of Asia, Africa, Latin America and Europe, to explain the origins and characteristics of famine. 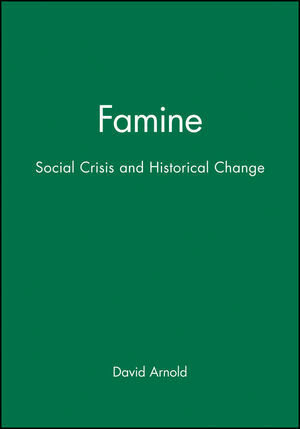 He considers whether some societies are more vulnerable to famine than others, and contests the assumption that those affected by famine are simply passive 'victims'. He compares the ways in which individuals and states have responded to the threat of mass starvation, and the relation of famine to political and social power. David Arnold is Professor of History of South Asia, University of London.